“The Huntress is played by Jessica de Gouw, who we think is going to be a huge breakout star. We’re really excited about her,” Kreisberg told a conference room full of reporter. “I think a lot of the secondary characters came about when Geoff and I were sitting on set and freezing our butts off in Vancouver in the middle of the winter, saying ‘wouldn’t it be cool if we did this?’ and ‘wouldn’t it be cool if we did that?’ Especially for Deadshot and the Huntress, they’re people who haven’t really been seen before. 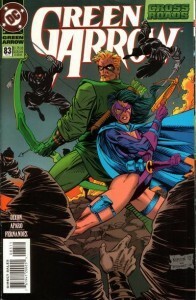 They’re very popular, iconic DC Comics characters who have never really been given their proper due in other mediums other than the comics, so for us as writers and creators, and as fans, what was most exciting for us was to take some of these lesser known characters and put the ‘Arrow spin’ on them,” he explained. “For the most part, I think characters who are going to make the transition from the comic books to this show are the ones that have a very grounded reality. You won’t be seeing a lot of characters who are aliens, or people who have super powers. 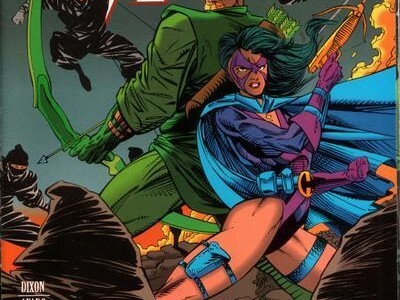 People like Deadshot and the Huntress, they have very grounded backstories, and very emotional backstories. At the heart of the show, it’s a drama. You take away all the trappings of uniforms and arrows and super-villains and whatnot, and it’s really about people. So for somebody like Deadshot, he’s a very scary villain, so that sort of malevolence is cool to see Oliver face. For the Huntress, they’ve got a very similar back story, because both of their crusades were born out of pain and loss,” he continued. 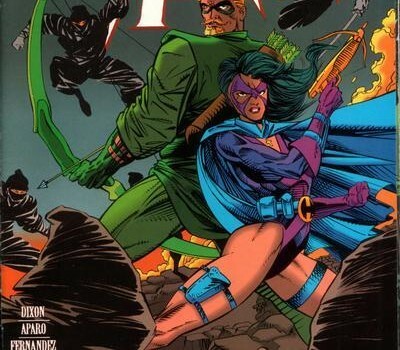 You can see how The Huntress on Arrow works out tonight at 8PM on The CW – we’re almost there! Come talk about “Muse Of Fire” on our forum!